CRIME, GUNS, AND VIDEOTAPE: Breaking News! California’s Concealed Weapon Ban Struck Down By The 9th Circuit Court of appeals! Breaking News! California’s Concealed Weapon Ban Struck Down By The 9th Circuit Court of appeals! San Francisco, CA—Today the Ninth Circuit U.S. Court of Appeals followed recent rulings by The United States Supreme Court by striking down the California ban on concealed weapons. In a 127page opinion ruled that the long standing law that allowed for “may issue” permits was un-Constitutional. The stricken aw had given police official’s absolute power to issue or deny permits to applicants. The permits were almost exclusively issued to politicians, bureaucrats and heavy political campaign donors in the more populous jurisdictions. Appeal is unlikely because of the SCOTUS McDonald decision that is in fact the law of the land. That case is what toppled Chicago’s ban. Illinois officials are currently issuing thousands of permits to law-abiding citizens. What this really means is that if a gun owner is free of felony or domestic violence convictions and is not mentally ill the current law requiring a permit to conceal a loaded firearm in their vehicle or on their person is simply unenforceable. The police may still decide to make an arrest but the case will eventually crumble in court. At some point arrestees may be able to sue police for violating their Civil Rights for making such an arrest. California will now have to write a new law that is not in conflict with citizens Second Amendment rights. That law must mandate that permits be issued freely to qualified gun owners. 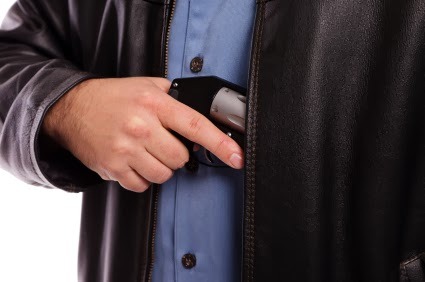 If California chooses to not promulgate a new law there will in effect be no law to regulate concealed weapons. I’m sure they will write something. Just reading this elsewhere. I figured that you'd be on top of it.